The 2014 Lesotho Ultra Trail (LUT), Africa’s first Ultra SkyMarathon®, took place on the 29th of November in the Tse’hlanyane National Park in the heart of the Maluti Mountains of Lesotho. Anticipation amongst both organisers and competitors was at an all-time high as the weeks before the event turned to days. 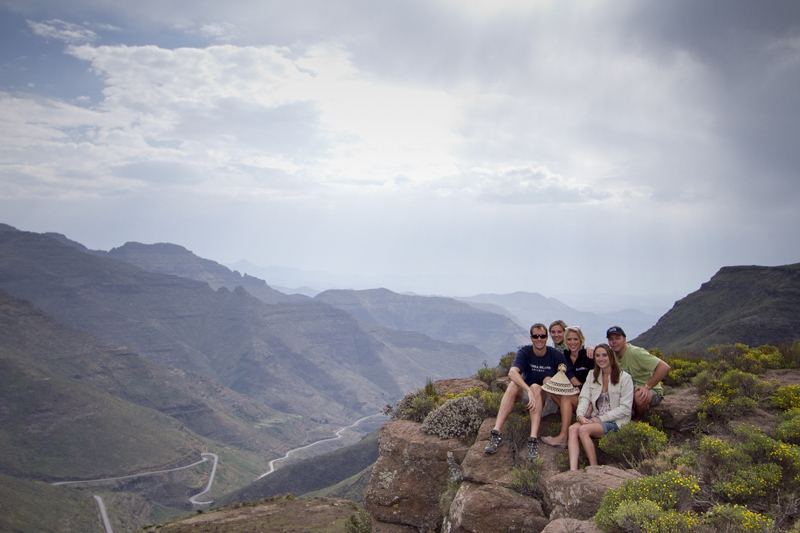 A full field, featuring both top international and local runners, descended upon Maliba Lodge on Friday 28th November to complete their final registration ahead of race day. 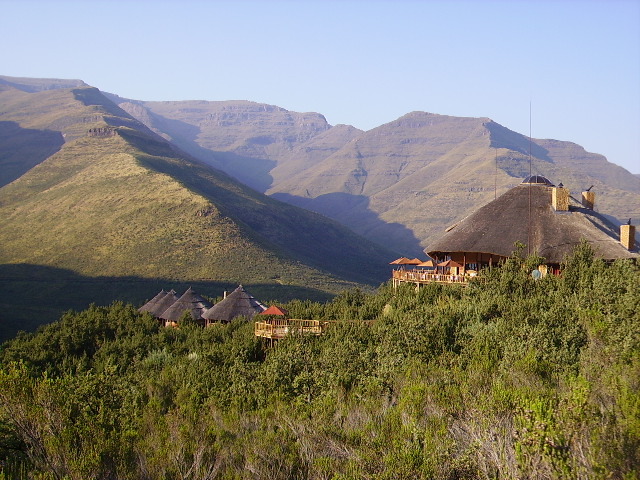 Met by sweeping mountain vistas and a warm welcome from the lodge staff, all exuding an immense pride in the recent completion of their new reception building since the devastating fire in 2013, runners settled in for a weekend of skyrunning. 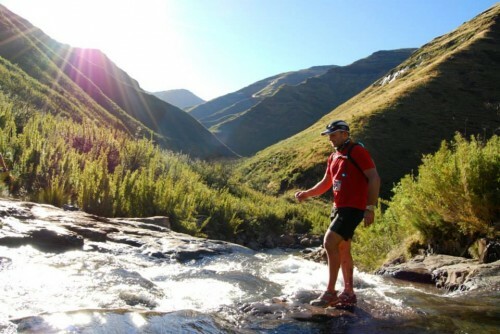 Considering the event has only just presented its 2nd edition, the atmosphere at Lesotho Ultra Trail is a diverse one, bringing people together from around the world who all have a passion for trail. Combine this with Maliba Lodge as the official race venue, and breathtaking trails that traverse the Maluti Mountains, and something special emerges. For me the event represents everything I love about trail running, it brings out so much emotion. As the race director I create a platform for the event to take place on, but its the people and characters of the race that have elevated it into something very special in a short space of time. 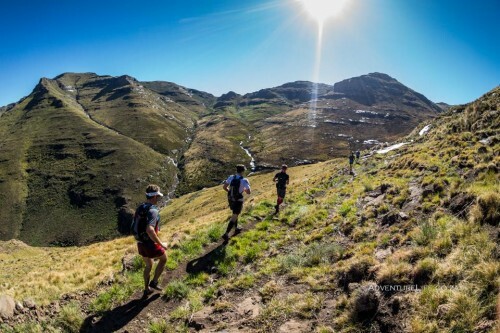 At 50km in distance, and with over 2500m of vertical ascent, LUT is the quintessential Ultra SkyMarathon® and final of the South African Skyrunner® Series, a challenge to all that participate. “The second climb which starts with 10km to go is brutal and asked questions of every runner. It was great however to see nearly the entire field step up to the plate, fighting off temptation to drop. 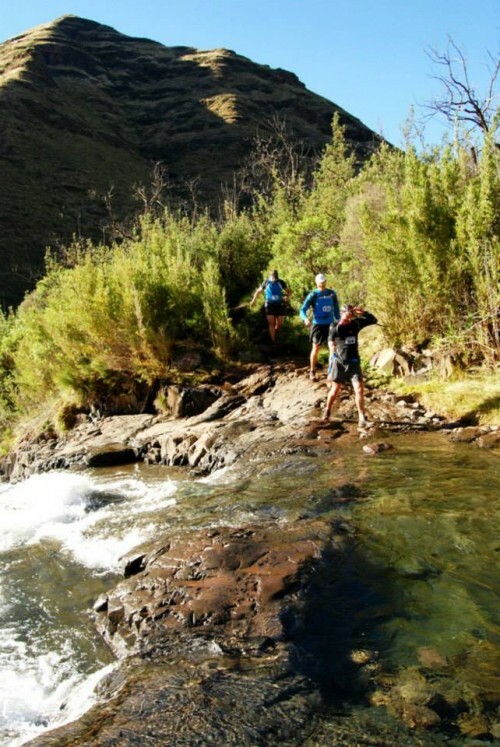 This course has captivated the trail running community, it’s incredibly wild and incredibly beautiful. The racing began on a frenetic note, the opening pace being set by local runners Tsokolo Moavhi and Munyane Musiti, both having never raced a trail event before. It was eventual winner Lucky Miya however who stamped his authority on the race shortly thereafter, taking the lead at the top of the first major climb at 18km and never looking back. As the remainder of the men’s top 10 tried to play catch up, Miya consistently maintained his assault on the podium’s top spot, adding valuable minutes at each check point between him and the chasing group that consisted of Gareth Wyn Hughes (Wales), Andrew Hagen (RSA), Scot Jaime (USA), Tsokolo Moavhi (Lesotho) and Jono Niemann (RSA). It was at the main aid station at 38km however where the race was all but won for Miya as the gap had grown to almost 40mins. 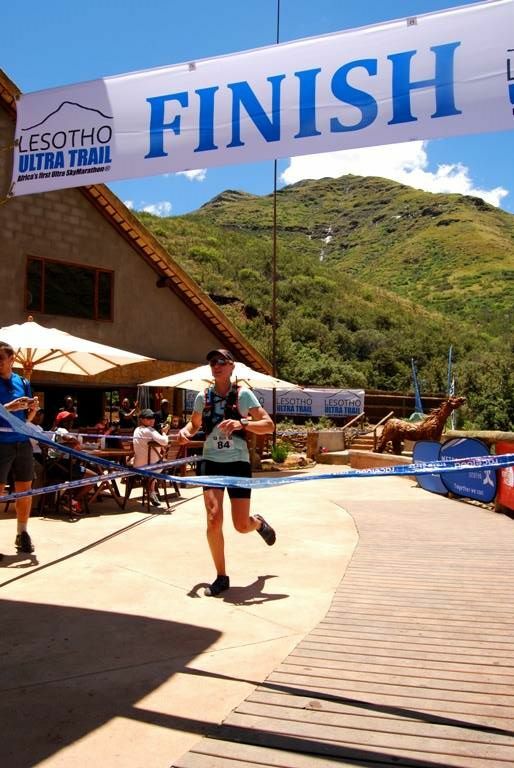 Holding onto that lead, Miya crossed the finish line in an incredibly fast 5:31:38, a new record and an overall victory in the 2014 South African Skyrunner® Series to boot. 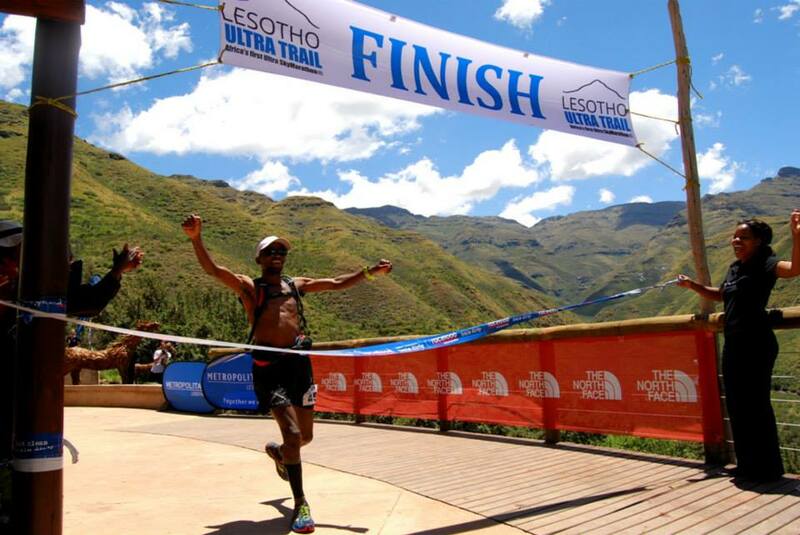 One of the most exciting aspects of this years race was 4th placed Lesotho runner, Tsokolo Moavhi from one of the local villages. The progress of local runners in future races is going to be exciting to watch. 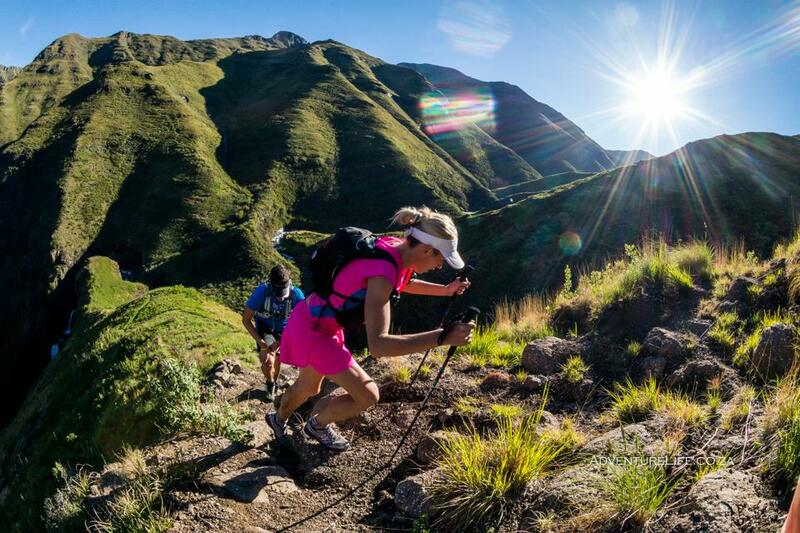 In the women’s race, a very confident Su Don Wauchope, battling illness for most of 2014, began the race with a dominant performance, opening up a 10min lead on the chasing group consisting of LUT 2013 winner Tracy Zunkel, Trish Bahlmann and overall South African Skyrunner® Series leader Driekie Black in the first half of the race. It was on the final major hurdle, the last big ascent in the closing 15km of the race, that Don Wauchope was unable to hold on, relinquishing her lead to Bahlmann. Bahlmann seemed to strengthen as the race came to an end, claiming the victory in the women’s race and well deserved 9th place overall. 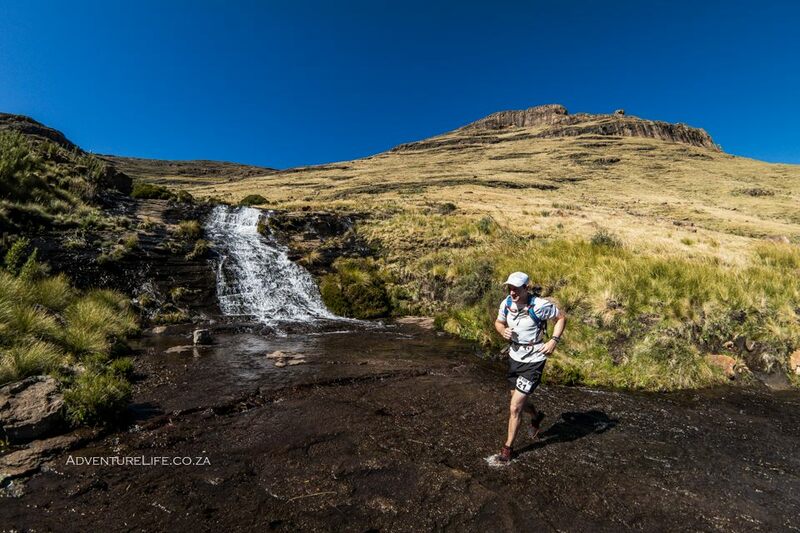 Zunckel, having also passed Don Wauchope on the same ascent, claimed second place behind good friend Balhmann. Don Wuachope finished 3rd. In the end 136 runners from 9 countries started the 2014 LUT with only 10 forced to withdraw due to injury or cut-off. says James Hallett, media and PR manager for the race. 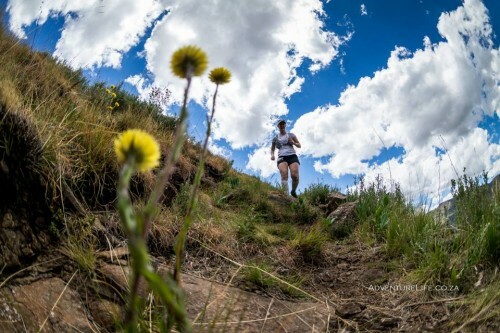 We’ve received many positive comments about the experience had by competitors, a true testament not only to the hard work that goes into an event like this, but also the passionate ultra running community who support LUT and affirm its status as one of the benchmark races on the running calendar.